On the Go! 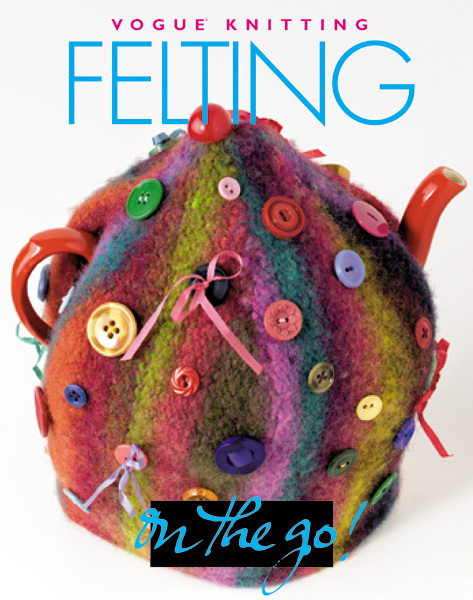 Felting includes a step-by-step guide to felting as well as twenty-five fun projects that are designed to keep you inspired. Felting will make your wool hat extra warm, your knitted bag extra sturdy, and your favorite slippers endure forever. Even the most inexperienced knitter can make a great-looking felted piece, because the felting process can cover any mistake! On the Go! Felting provides readers with an easy-to-follow, step-by-step guide to felting as well as twenty-five fun projects from a boho-chic embroidered bag to a handsome dog coat. Washing machine required.